Aircon Servicing Singapore: Why Regular Aircon Servicing Is Important? If you own an air conditioner, then you understand how important the system is during the hot season. Nonetheless, many people do not actually give their air conditioners the attention they deserve, which often results in a number of problems. It is important to ensure that your air conditioner is regularly serviced as this helps to improve its efficiency. Air conditioning service companies will usually examine the gears to ensure that they are well-maintained. In addition, a calibration checkup is often done to ensure that the thermostat is functioning properly and that the unit is cooling the space according to your preferred settings. The best way to ensure your air conditioner operates effectively is to service it regularly. Having your air conditioner serviced regularly will keep you and your family comfortable during those hotter times. Another benefit of air conditioner servicing is reducing cooling costs. When an air conditioner operates properly, it uses little energy and this can end up saving a considerable amount of money in the long run. The cash saved will easily outweigh the aircon servicing fees and hence, it is extremely important to do it regularly. In addition, servicing helps to save money since it helps to enhance the longevity of your unit, meaning that you do not need to replace it from time to time. Not to mention the fact that it reduces other costly repair or maintenance costs! Regular aircon servicing will also provide owners with additional safety advantages. It prevents a number of risky situations from happening. It minimizes the amount of disease-causing microorganisms in the room. Most air conditioning servicing providers will also evaluate the amount of toxic gases in the air. If they find any toxic gases (including carbon monoxide), the experts will prevent them fast, making your business or home a much better place to stay. Bear in mind that your ultimate objective should be to ensure your air conditioner is serviced in the best way possible. Make sure that your unit is oiled regularly as well. Avoid stacking objects on the unit and get rid of any probable dangers as much as possible. 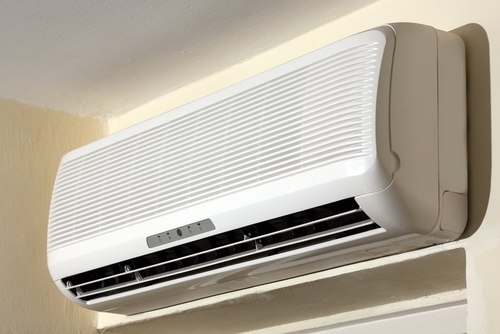 This will ensure you have a reliable air conditioner, which will be helpful during the hot periods, as you require this unit to keep you and your family members cool and comfortable during high temperatures. If you own an air conditioning unit, you need to appreciate the fact that you have to service the system on a regular basis. This is important if you seriously want to save money on those soaring monthly electricity bills during these harsh financial times. Air conditioning services will also help to keep your unit properly maintained for effective operation. Regular tests on our units are recommended to ensure we do not suffer problems when trying to operate it. For that reason, finding the best air conditioning company is highly recommended. All you need to do is to search for the best air conditioning service provider in your area of residence in order to get the best deal possible.